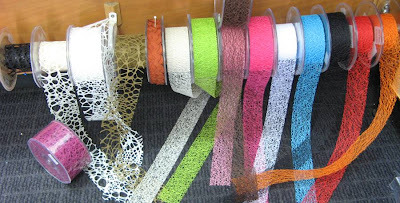 Di's Scrapbook ShopJust-FabuliciouswithKirsty Kitchener : Green Tara Stock Update....Caution Lots of Photos!!!! Hi everyone, just got a HUGE stock order in from Green Tara yesterday. Got loads of stock top ups as well as some newbies. As most of you know, I am on the Green Tara Design Team & I just love their goodies, as I'm sure you all do too. I definitely have a weakness for all these lovelies!! If you need a little inspiration on how to use all of these pretties, pop in to our shop over at The Entrance & see dozens & dozens of pages with lots of ideas on how to put all these gorgeous goodies together!!! We got top ups of lots of roses in both small, medium & large sizes in ten different colours. 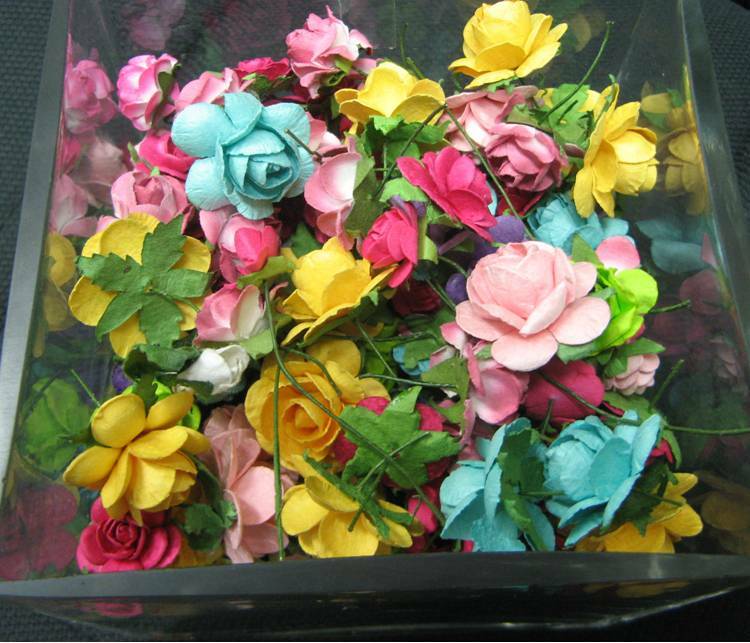 You can never have too many roses!!!! Some more colours. Top ups of Mini Rosebuds in several colours. 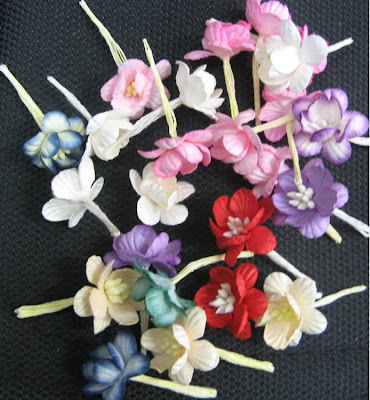 Top ups of Cherry Blossoms in several colours too. 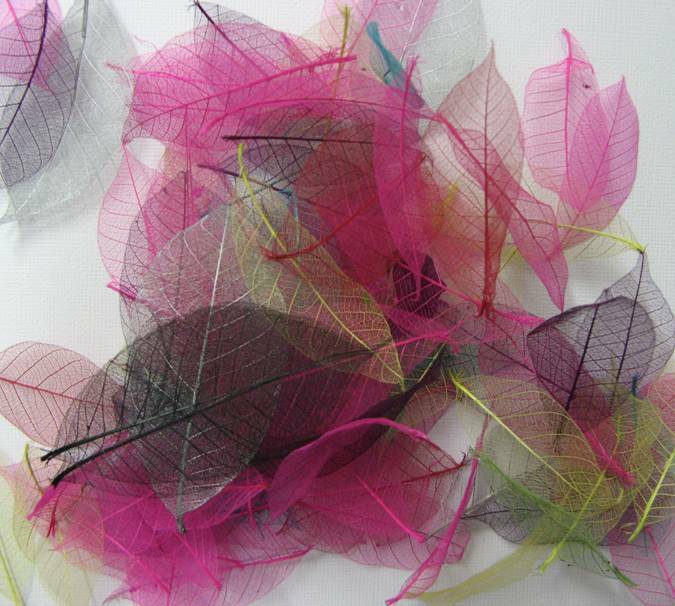 Skeleton leaves in lots of colours including pink, plum, black, torquiose & lime. 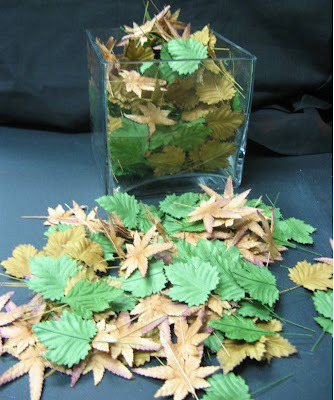 Loads of leaves in both greens & autumn tones in different shapes. 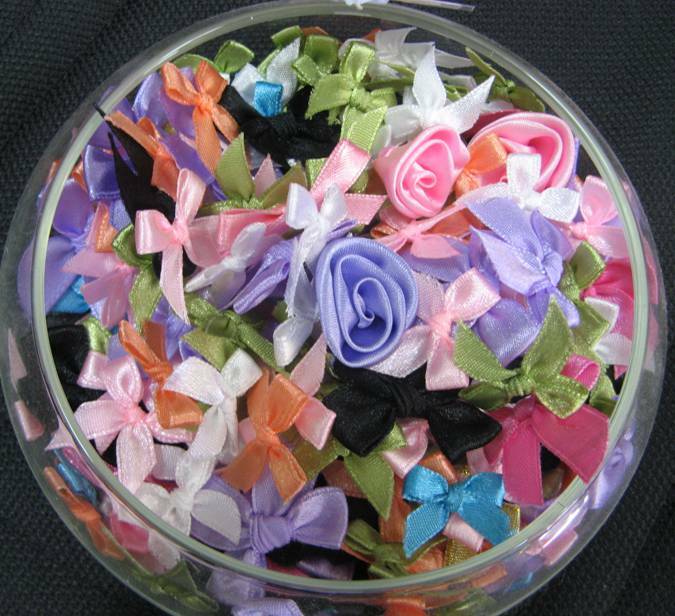 Top ups of our ever popular little "bows" in several colours. 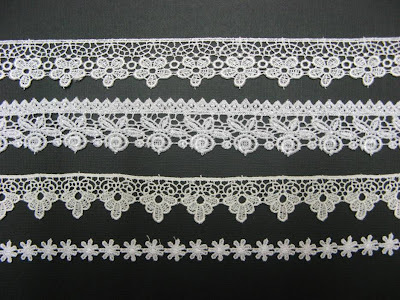 These are popular with both cardmakers & scrapbookers alike. 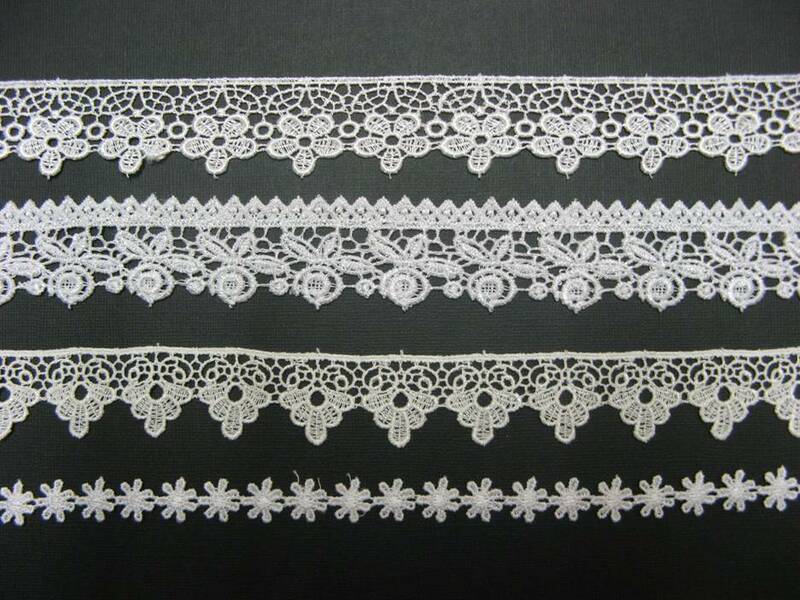 This is just a sample of some of our gorgeous laces. Some tops up of stock as well as some NEW ones arrived too. Received top ups as well as some NEW colours of the ever popular mesh & cobweb mesh. 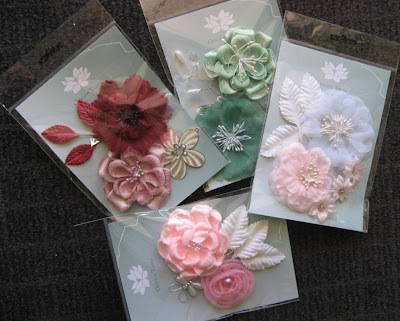 We also received lots of our favourite Flower Concept Packs in lots of different colour ways. These pics are just a sampling!!! Loads more colour combinations to choose from. 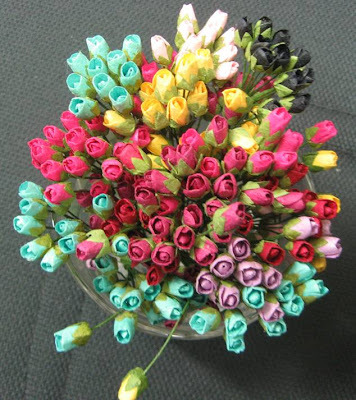 Don't you just love some of these gorgeous colours. We also received some NEW Concept Packs that include some gorgeous Pearl Butterflies, some have Yummy Crystal Sprays & some have these sweet little METAL flowers. Definitely WOW factor!!! We carry a huge range of Green Tara Ribbons & trims as well as all their gorgeous fabric flowers which we also sell loose. 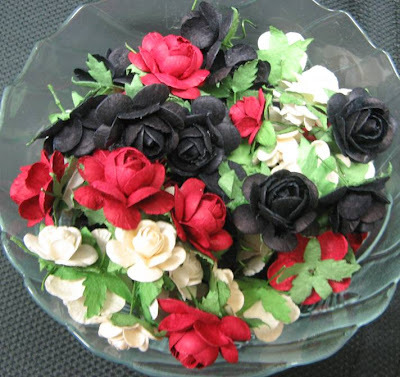 We usually get an order every fortnight from Green Tara so if there is something special you want just let us know & we are happy to order it in for you. 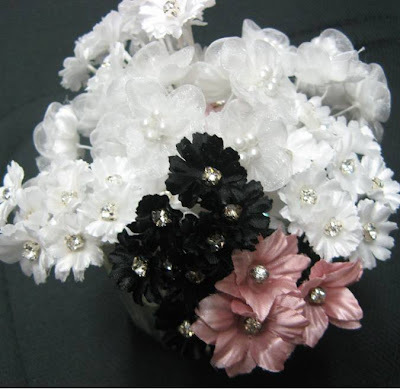 Pop over to their blog, click HERE & see more of their gorgeous goodies & lots of great ideas & a little inspiration..
Di Oh my God, I am delighted! I ganehi some flowers of Green Tara in a draw and today my courage paw use them ... they are wonderful!